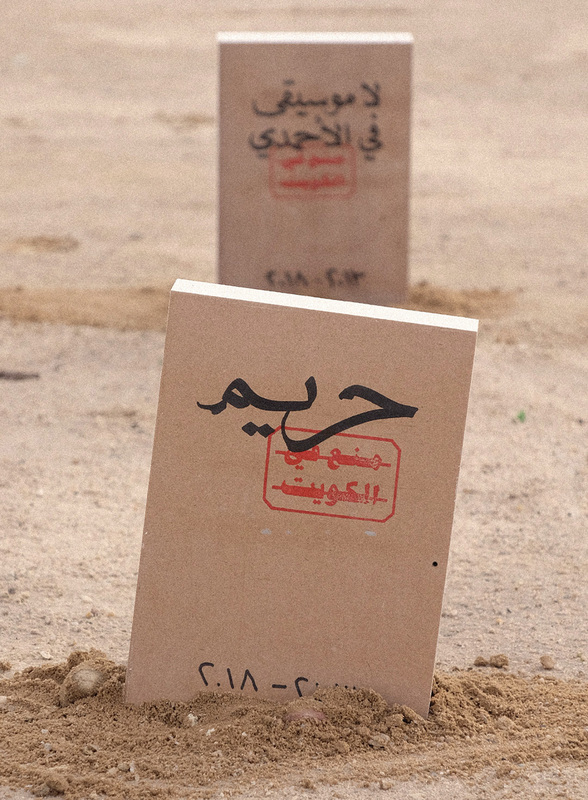 Inspired by this literary censorship, and as a “sign of opposition to the banning of writings as well as the persecution of their authors,” Kuwati designer and artist Mohammad Sharaf, (MFAD 2015) who currently practices in Kuwait, created the “Cemetery of Banned Books,” a symbolic piece of protest and public art intervention. 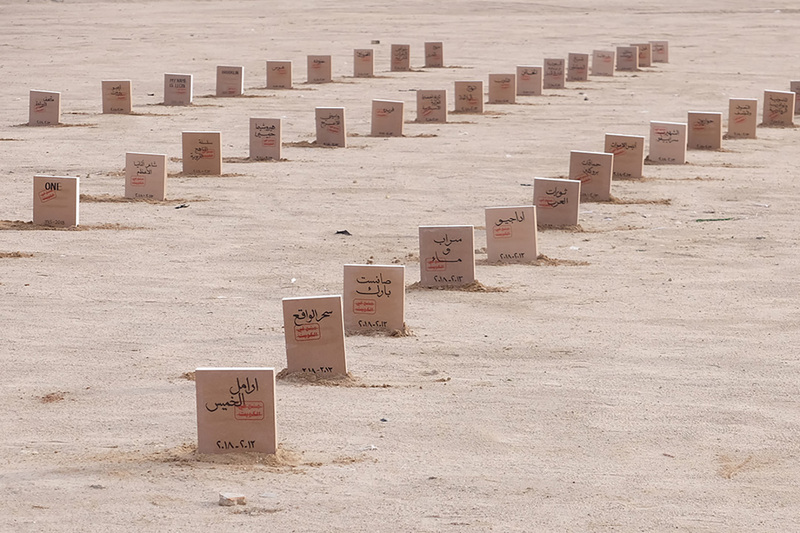 The mass graves were installed on the sidelines of Kuwait’s Annual Book Fair. 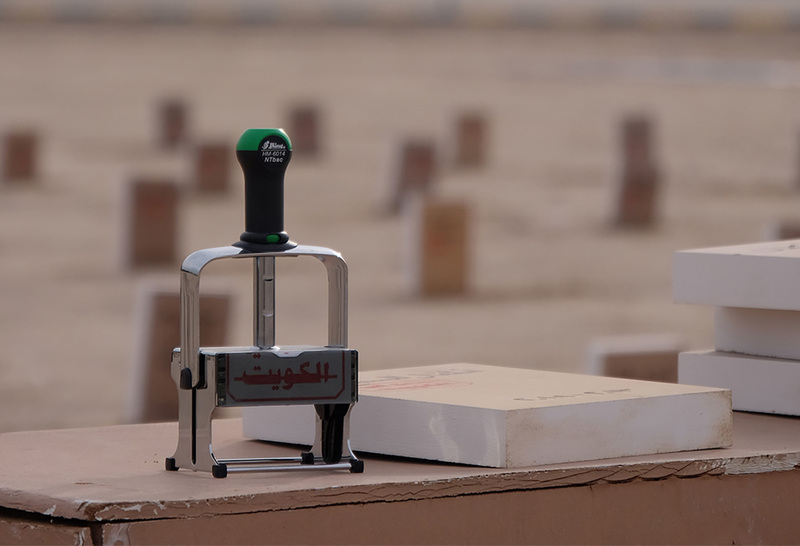 This ominous installation includes more than 200 headstones engraved with the names of some of the books that were banned by the government in recent years. These books vary from children’s books to encyclopedias, to novels, and political and religious books written by local and international authors. The Cemetery of Banned Books was installed on Friday, Nov. 22, 2018 at 9am. It remained in place for four hours before being removed by the authorities.